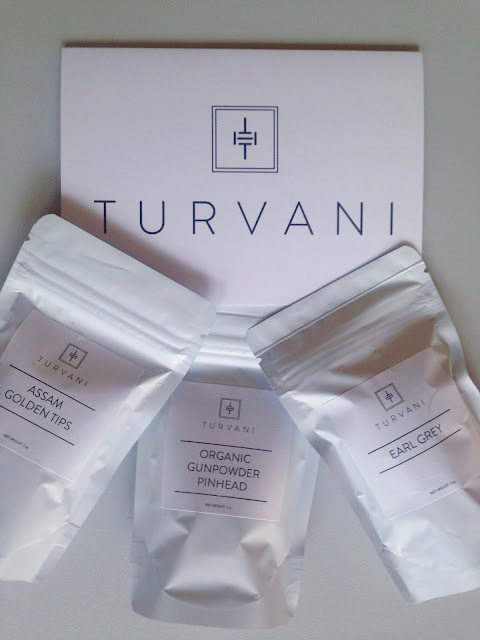 I recently opened a box with smart looking samples from Turvani, a new tea company that focuses on enjoying the experience of preparing and sipping a cup of tea. To learn a little more about Turvani, check out my interview with founder Samir Balwani here. I was immediately drawn in by the minimalist design on the packaging. The clean lines and bold logo draws attention to the company, but also piques interest in the tea that lies inside the package. I was given three samples and decided to try their Assam Golden Tips first. I've had a few different Assams lately and thought I'd give this one a try to see how it stacks up. The dry leaves are super sweet, and I could detect honey with a hint of malt. A little bit of sweet dried fruit as well, and something rich and gooey, like molasses. The leaves have pretty golden tips vying for attention, but they were well outnumbered by the darker leaves. After a steep, the fragrance was malty and velvety, retaining that honey note. The infused tea is very soft, smooth, and comforting. It has a mellow streak from the honey but a stronger malty flavor that gives it some power. This isn't a bad thing, it has a nice bit of punch which makes it perfect for a morning or early afternoon cup. It's slightly woodsy, and when I close my eyes the flavor takes me to sitting in a forest in early autumn while wrapped in a warm fleecy blanket, eating toast topped with honey. I told you it was comforting! 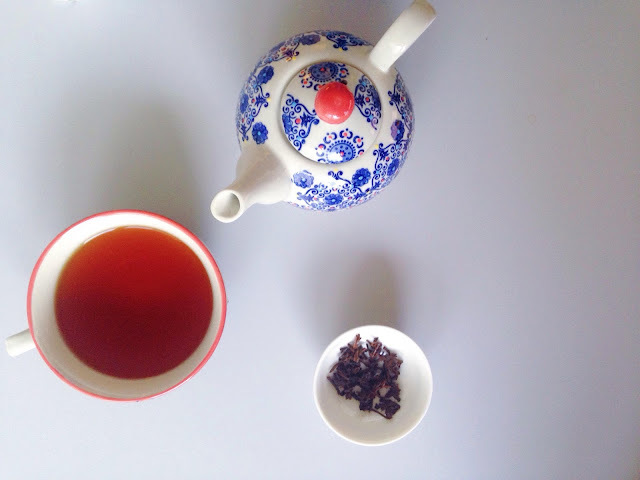 This is a nice basic morning tea that delivers flavor and energy. It would also be a solid, basic iced tea. With the sweet flavors I wouldn't want to add sweetener, but I can see that adding a little bit would enhance the dried fruit and molasses notes even more. 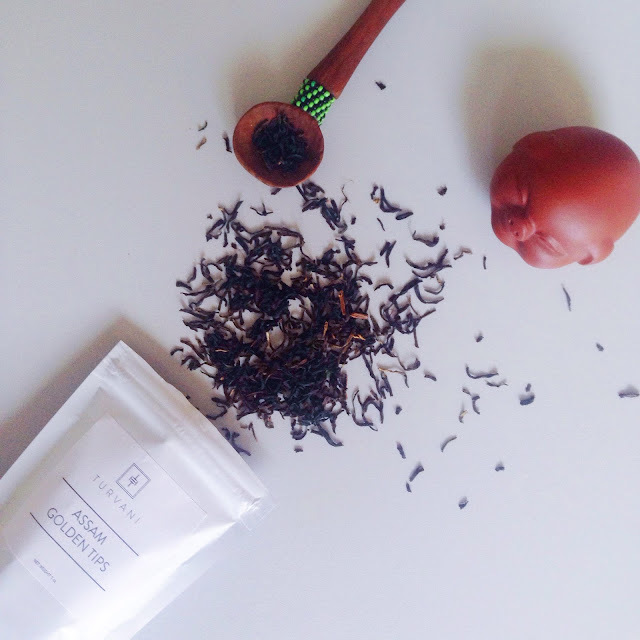 Since it's an Assam a little bit of milk could also be added, but that's something you'll have to try for yourself. I'm not a fan of milk in my tea. Don't tell any of my British friends! Thank you to Turvani for the sample. I look forward to trying the other two! Dried fruit, honey, and malt -- sounds like a good cup of tea. I like your teapot! It is a good cup! Thanks, it's such a cheerful little 'tea for one' teapot. It is from T2.